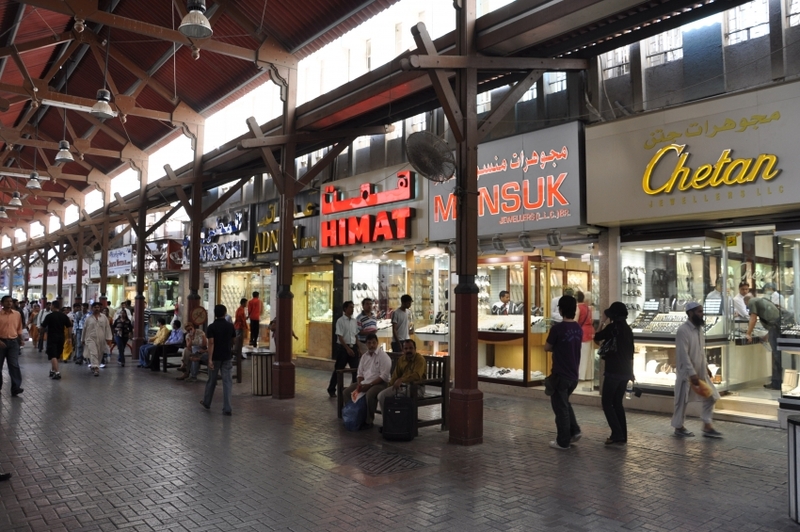 "The Golden Touch of Dubai"
An expansive souk which features a plethora of dazzling objects, the Deira Gold Souk is a site which beguiles and amazes all those who are lured to its lively disposition. The district of Old Deira is always abuzz with sounds of curious buyers and enthusiastic vendors. Everything from emeralds, rubies, bracelets to rings gleam under the glare of the tenacious sun here and are sold way cheaper than anywhere in the world. Established during the 1990s, this marketplace is highly reminiscent of an authentic Arabian souk, and security here is topnotch. The gold is sold here according to its weight and one can always strike a good bargain over its craftsmanship. 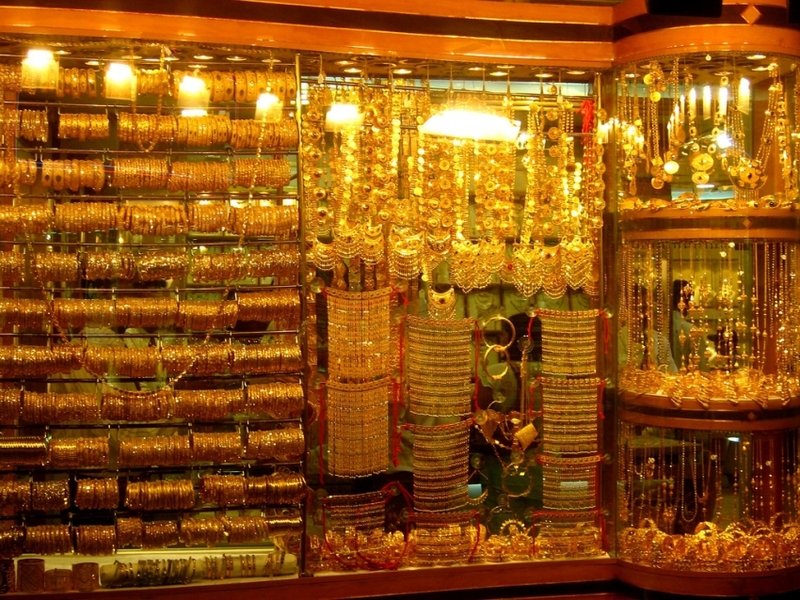 The Deira Gold Souk is one of the biggest reasons why Dubai is synonymous to gold.